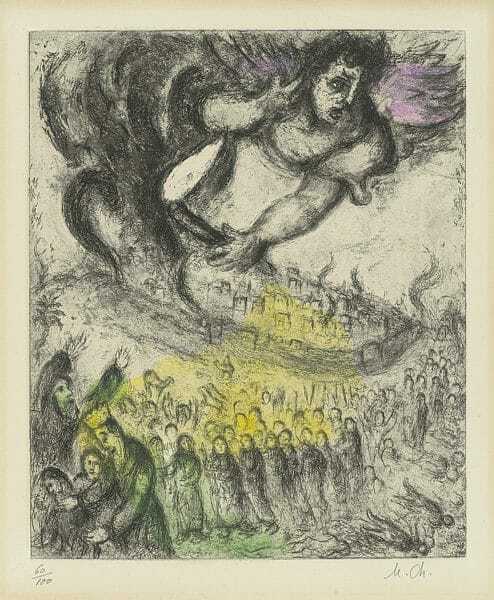 Now considered a pioneer of modernism, 20th-century artist artist Marc Chagall risked damaging that reputation when he created a graphic series based on one of art’s most ancient subjects: The Bible. 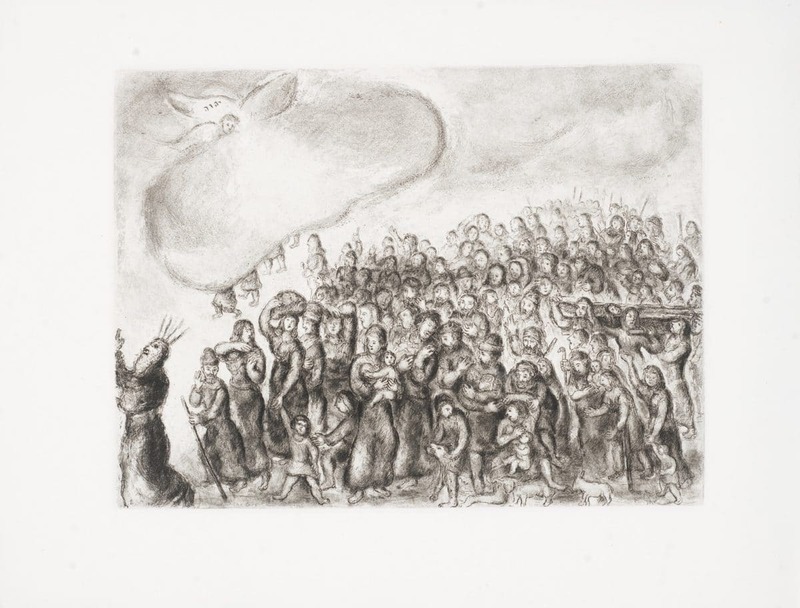 The idea of Chagall, a Russian-Jewish artist, taking on the monumental task of illustrating the Bible originated with famed art dealer and publisher Ambroise Vollard. 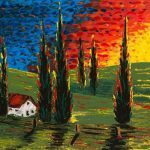 The French dealer had famously helped elevate the careers of artists like Pablo Picasso, Paul Cezanne, and Pierre-Auguste Renoir. 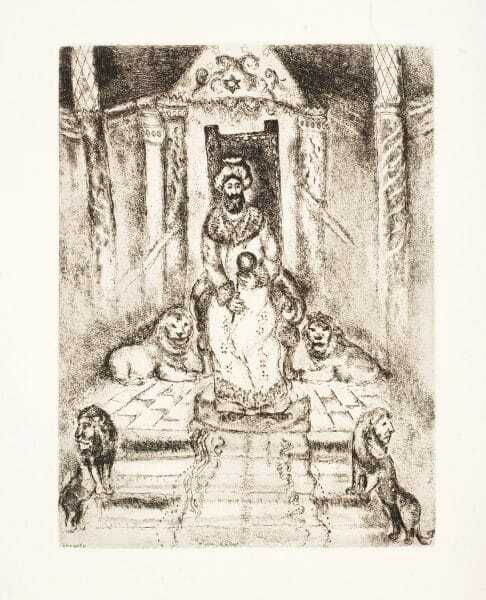 Vollard had previously worked with Chagall on illustrating a Russian novel and a collection of fables. 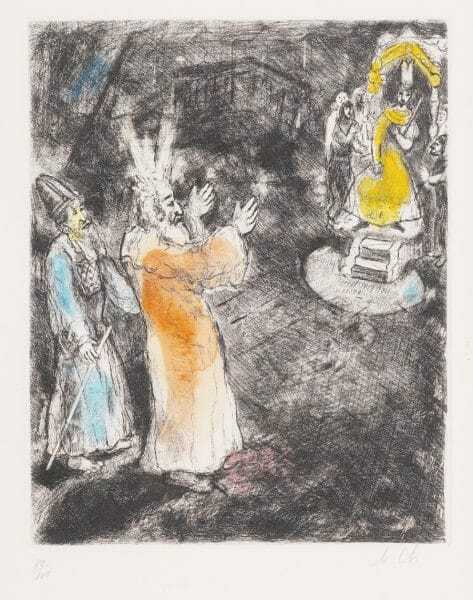 In 1931, Vollard once again approached Chagall, who was living in Paris at the time, this time with the idea of creating a series of etchings based on the Bible, specifically the Old Testament. In preparation for this commission, Chagall traveled to Palestine in the spring of 1931. The two-month trip became a life-altering experience for the artist, who had always been fascinated by the Bible and religion. Upon his return to France, Chagall immediately began working on the series, choosing etching and engraving as his medium. His passion for the project even led him to Amsterdam, where he intently studied the biblical art created by Rembrandt van Rijn and El Greco. 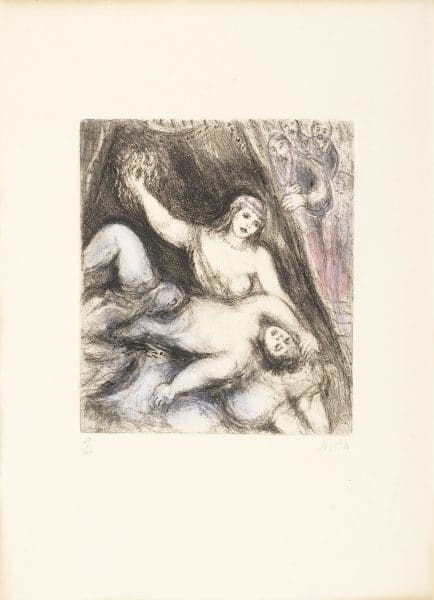 Between 1931 and 1939, Chagall completed 65 plates for his etchings and engravings. Unfortunately, calamity would strike before he could complete the series. In July 1939, Vollard died in an auto accident. This tragedy, coupled with World War II spreading across Europe, forced the Bible project to a halt. 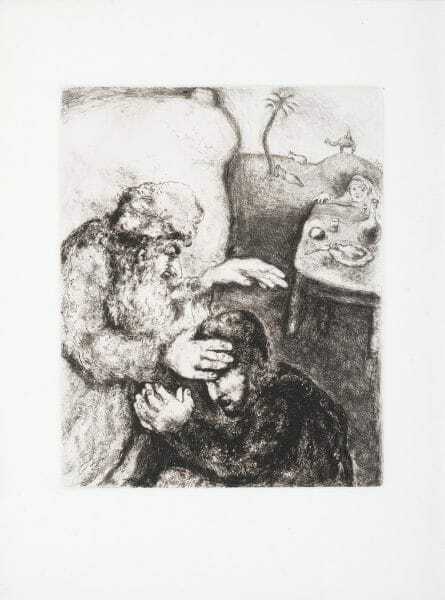 But the encroaching war did more than threaten Chagall’s progress on his Bible series—it also threatened his very life. As Adolf Hitler and his Nazi party gained power in Germany, they began to enact public campaigns against modern art, labeling art that was abstract and non-representational as “degenerate.” This also included works created by Jewish artists, making Chagall a perfect target. However, when Germany invaded and occupied France, Chagall remained, refusing to leave the country he loved. France soon became dangerous for Jews like himself. In October 1940, the government began approving anti-Semitic laws, and Chagall and his wife realized they needed to flee. They could only go to the United States, but they were unable to afford the fees necessary for passage to New York. Thankfully, an American journalist named Varian Fry was operating a rescue network within France. Chagall’s name was added to a list of more than 2,000 other prominent artists whose lives were at risk. In May 1941, Chagall and his family left Europe and arrived in New York a month later. During their time in the United State, Chagall’s wife, Bella, died due to illness in 1944. Grief-stricken, Chagall stopped painting for months. Despite these personal tragedies, Chagall’s fame in the art world continued to grow. By 1946, he had become internationally recognized, inspiring an exhibition at New York’s Museum of Modern art that showcased his artwork from the past 40 years. Chagall returned to France in 1948, and in July 1952 married his secretary, Valentina “Vava” Brodsky. That same year, Chagall finally resumed his work on the project Vollard had commissioned 25 years ago. 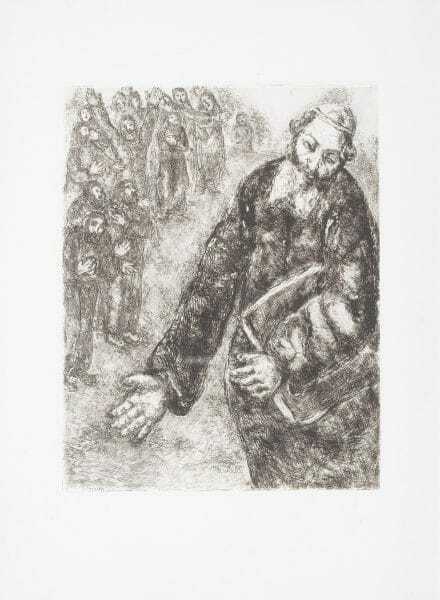 He continued working on the Bible Series for another four years, completing another 40 etchings by 1956. The etching plates were first printed in the studio of Maurice Potin and later at Raymond Haasen’s studio. 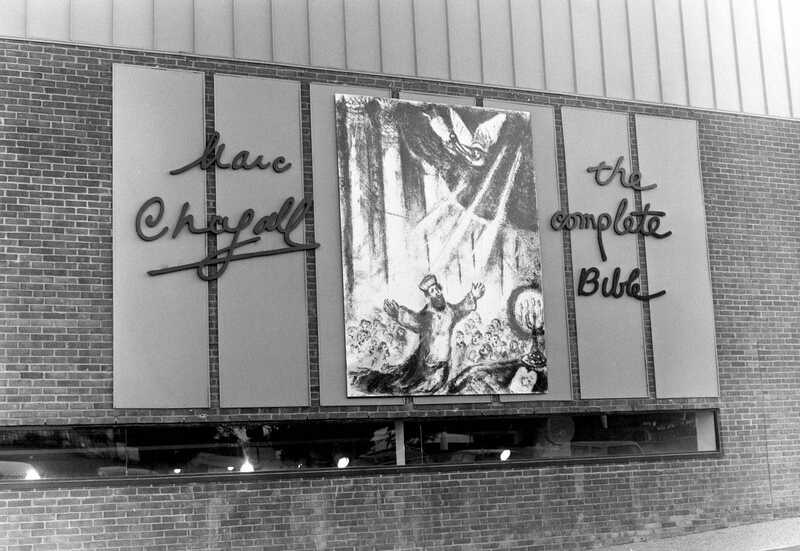 Once the process was complete, the copper plates were cancelled and given to the Musee National Message Biblique in Nice by Chagall and Vava. The results were 275 signed and numbered portfolios and 20 hors commerce portfolios. An additional 100 sets of etchings on paper featured hand coloring and were initialed by Chagall in pencil. 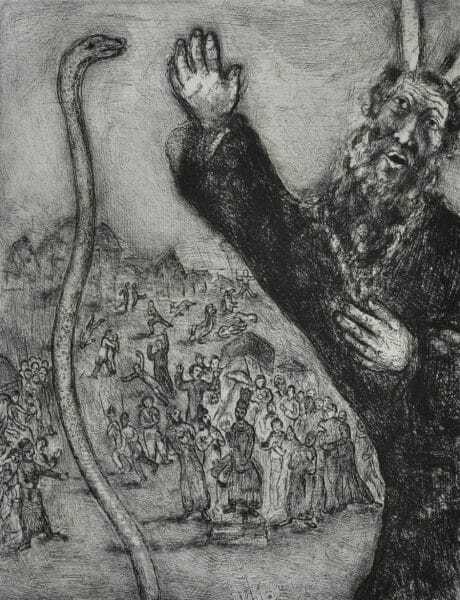 Chagall’s Bible series covered a wide variety of stories from the Old Testament, ranging from the creation of man and Noah’s ark to Moses invoking plagues upon Egypt to convince the Pharaoh to free his people. 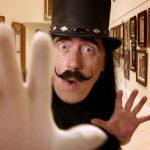 Each one bears his unique artistic vision, blending his Jewish heritage, imagination, and groundbreaking art style with the familiar stories and passages of the Bible. Chagall had approached the project wholeheartedly. He saw the narrative of the Old Testament as a series of recurring images and themes to interpret, so instead of coldly illustrating the text, he instilled each engraving with human emotion and spirituality. 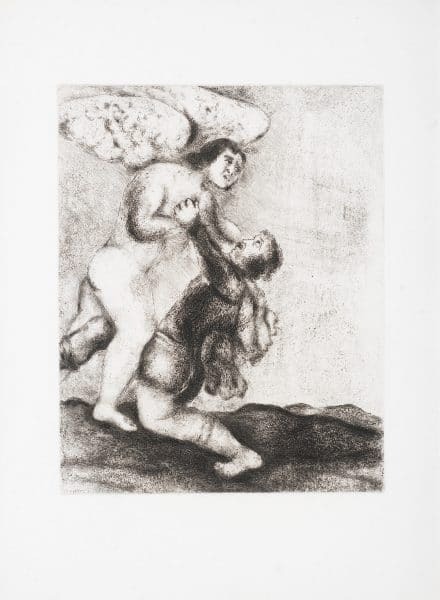 The Bible series by Chagall is regarded as one of the artist’s greatest masterpieces, and one of the 20th century’s best example of engravings. 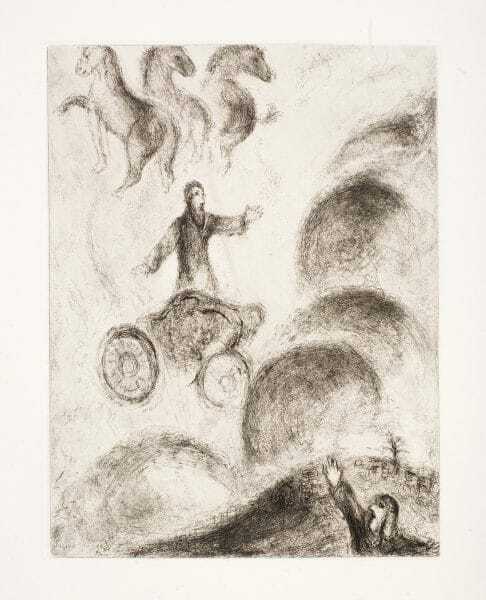 For information on how to collect works from Marc Chagall’s Bible series as well as other works by Chagall, contact our gallery consultants at (800) 521-9654 ext. 4 or sales@parkwestgallery.com. I’ve been looking at Chagall’s Bible etchings for 40 years, and every time I hold one in my hand, I still get goosebumps! I’ve collected a few of his etchings and they are among my favorite works .